Here’s Block 24 of our Celebrate Christmas Quilt-Along. The Christmas Star has been designed by Melissa Corry. Our friends at Shabby Fabrics have a great 30% off Super Deal for you to enjoy too. 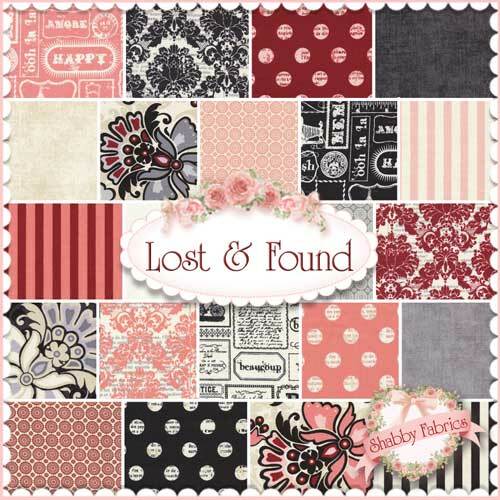 The Super Deal this week is 30% Off all Lost & Found fabrics. To redeem, enter the coupon code LOSTFOUND30 on the View Cart page. Coupon expires Friday, November 11, 2011. I don’t know if I have a quilting style, per se. I like all kinds of quilting. Sometimes my quilts look more traditional, and sometimes they look more modern. I just find something that inspires me and go from there. Before my husband and I left our home of Utah for medical school I asked my mother to teach me to quilt. I figured I was about to have some lonely evenings on my hand and needed some hobbies. I began slowly and enjoyed being able to create adorable baby blankets for friends. In 2010 I discovered the on-line quilting world and I have not looked back. I wouldn’t say I have a favourite. I love each one of my quilts and each for different reasons. 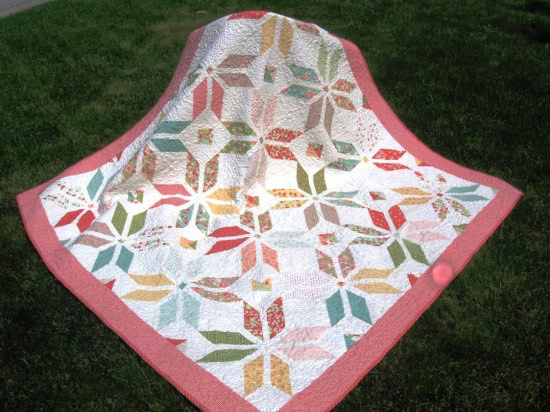 One that I am particularly proud of right now is my Summer Breeze quilt. This was my first (and to date, only) pattern and it was quite a process to learn to write that way. What part of the quilting process do you like the most? I really enjoy all the different aspects. It is to hard to pick a favourite. What part of the quilting process do you dislike the most? I don’t like binding as much but I refuse to do it by hand and so machine binding is tolerable to me. Chocolate, vanilla, strawberry, or: Yes please. Most exciting place you’ve travelled: British Colombia, beautiful!!! Here’s Melissa’s The Christmas Star block. I simply adore the gold thread she added to highlight the star shape. Head over to Melissa’s blog for the excellent photo tutorial she created on putting together her block. Upload your completed blocks to our Flickr group for a chance to win some adorable buttons from Button Mad – Incomparable Buttons. One winner for each of our quilt-along blocks will be randomly chosen. 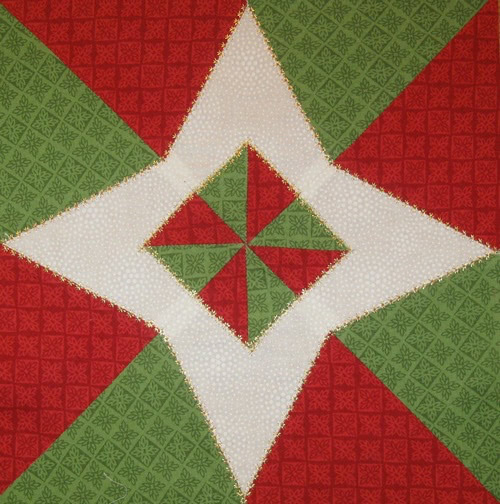 You have two weeks to complete Melissa’s The Christmas Star block to be eligible to win. Very nice. I like different stars. And thanks for the heads up on the deal at Shabby. Some of those would be great for my Ghastly quilt. Hey I know this lady! 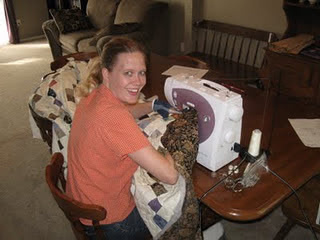 She is the first quilter who’s blog I followed and now look at me! Bah! I blame you, Melissa, for all the great blogs I now have in my feed! I might have to try this star, even if I’m not doing any other blocks just because it’s from Melissa. Oooooh, I really like your block, Melissa. This is definitely one that will go in my Quilt-a-long project!